If you or someone you know needs mobility and ability assistance, you’ll want to check out our new “Try It: Ability Tools” collection. These useful gadgets and devices are guaranteed to make your life easier. In addition, you can visit your branch for our Try It: Ability Tool demonstrations, scheduled throughout November and December. 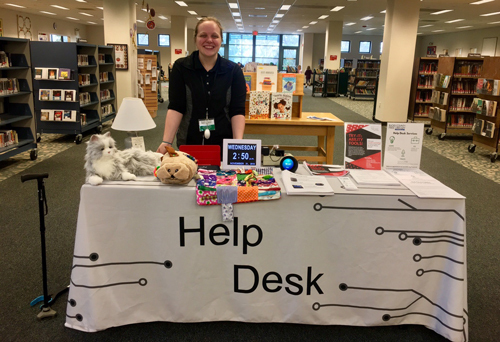 These demonstrations are given by our Help Desk staff and include additional tools that are not part of our collection, such as the Grandpad and Amazon Echo Show.